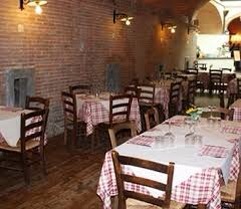 The restaurant La Torre is a traditional restaurant in Capannoli, Pisa. It is located in an old villa of this village, so now the restaurant is old-fashioned but really relaxing and exciting! The food is typical and regional and the cost is good value. Finally, the staff is kind and helpful. I love eating here because in this place you can spend a traditional and relaxing dinner.